The attorneys of two men charged with involuntary manslaughter in connection with a fire last December that claimed 36 lives in an Oakland warehouse said on Friday that their clients are being made into scapegoats. Thom Jensen reports. 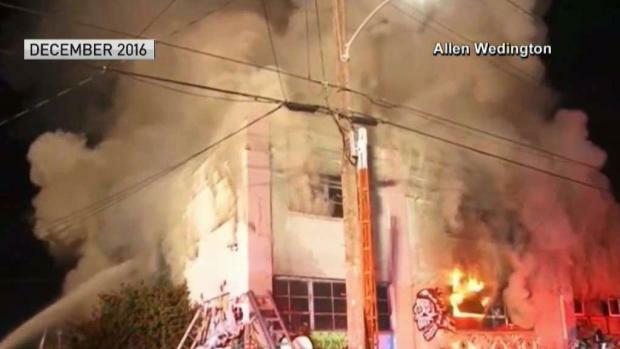 The attorneys of two men charged with involuntary manslaughter in connection with a fire last December that claimed 36 lives in an Oakland warehouse said on Friday that their clients are being made into scapegoats. 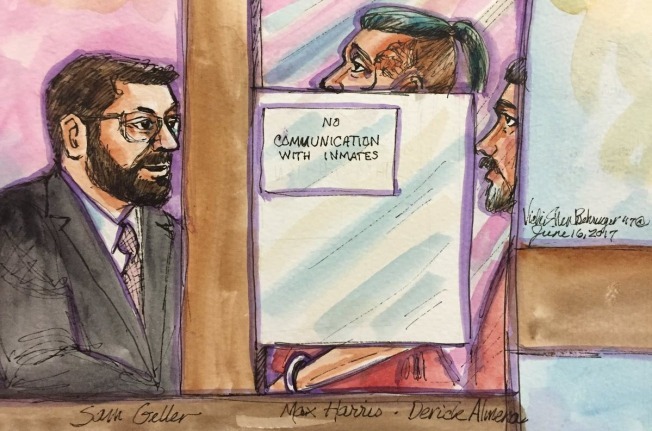 The Alameda County District Attorney's office says master tenant Derrick Almena, 47, and his second-in-command Max Harris, 27, created unsafe conditions at the Ghost Ship warehouse when they modified the interior to accommodate as many as 25 tenants. A complaint filed against the pair states that they did so without licenses and in violation of building and fire codes. Thirty-six people died when a fire broke out during a Dec. 2 party that was allegedly hosted by Harris. Prosecutors argue that party-goers had to use a set of makeshift stairs in order to escape the fire because Almena and Harris had blocked access to one of the building's exits, turning the space into a fire hazard. Ghost Ship fire suspects face judge. Pete Suratos reports. Harris questioned that allegation during a jailhouse interview with the East Bay Times on Thursday. "Max ran toward the flames and tried to extinguish them. When it spread beyond control, he urged others to use their cell phones as guiding lights to safety," said Laura Lind, Harris' aunt. Lind instead called her nephew a hero and a victim. "He gave up trying to save others only when he was overwhelmed by the intense heat and smoke," she insisted. "Some would call that heroic." Harris did not enter a plea Monday during his arraignment on 36 charges of involuntary manslaughter — one count for every person who was killed. Almena faces the same charges. His lawyer too blamed other factors, including an electrical utility and the fire department. The pair could face 39 years in state prison if they're convicted. Both defendants appeared in Alameda County Superior Court on Friday. A judge has granted their lawyers' requests to push Almena and Harris' plea hearings by three weeks. They are scheduled to return to court on July 7 to possibly enter pleas and have their attorneys argue a motion to reduce their bails, which are $1.08 million each. Harris' lawyer Curtis Briggs said that his client wasn't aware of the deficiencies of the warehouse. Briggs also claimed that the Alameda County District Attorney's Office needed someone to blame for the tragedy and unfairly singled out Harris as one of the responsible parties. Almena's attorney, Tony Serra, agreed. "Our client has been made a scapegoat and a shield, from our perspective, of the real responsible parties in this case," he said. Briggs also shifted blame to the landlord, Chor Ng, who he called a slumlord who fled to China when the deadly fire broke out. He accused Alameda County District Attorney Nancy O'Malley of giving "a free pass to a multi-millionaire, foreign landlord in an attempt to prosecute wrongly a fine member of Oakland's artistic community." Meanwhile, Keith Bremer, Ng's attorney, said in a statement on Friday that reports of his client being in China are false. "Ms. Ng continues to reside in the Bay Area," he said.